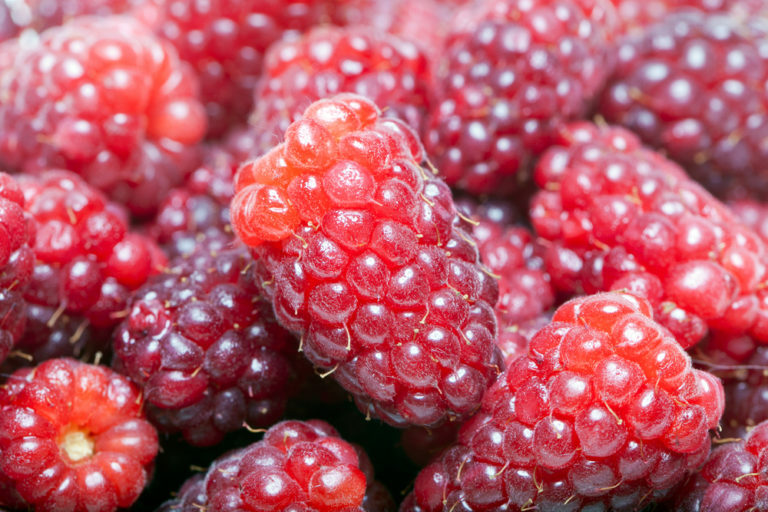 Loganberry plants generally ship from December – May. 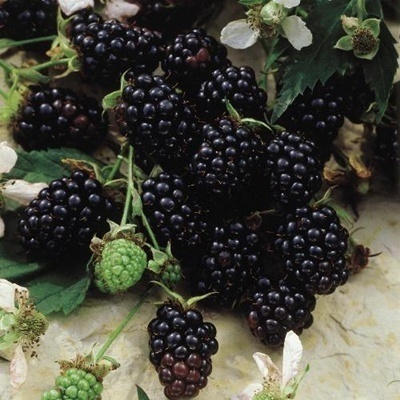 Loganberry plants are sturdy and more disease- and frost-resistant than many other berries. These plants are thorn-less and the loganberry bush usually produces about ten canes. 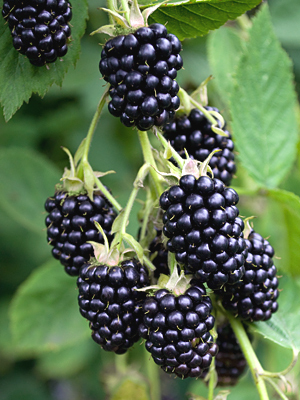 The canes are not as upright as its raspberry parent, and tend instead to vine more like its blackberry parent. Growth can be undisciplined, with the canes growing five or more feet in a year. Some gardeners train the canes fanwise along a wall or a wire frame. Old canes die after their second year, and should be cut away as they can become diseased, and also hinder harvesting. The loganberry fruits earlier than its blackberry parent. Fruit is produced for about two months, generally from mid-summer until mid-autumn, with a plant at a given time mid-season bearing fruit in different stages, from blossom to maturity. 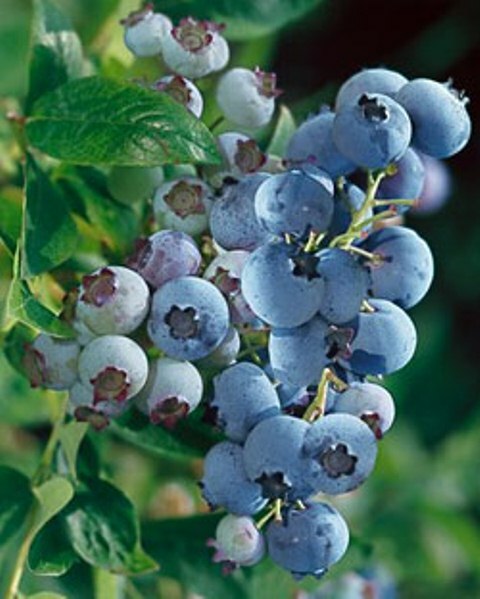 The berries are generally harvested when they are a deep purple color, rather than red. Each bush can produce 15 lb to 18 lb of fruit a year. Plants continue to fruit for around 15 years, and can also self-propagate.